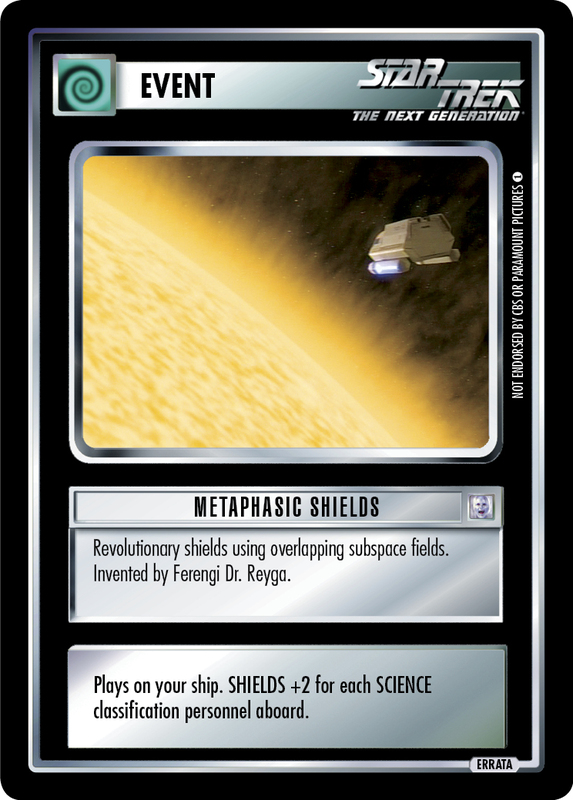 Revolutionary shields using overlapping subspace fields. Invented by Ferengi Dr. Reyga. Plays on your ship. SHIELDS +2 for each SCIENCE classification personnel aboard.